A commune hidden from the world. A terrible accident. A lifetime of secrets to uncover. The new YA thriller from Emily Barr. I've been trapped here for days. What if I die here? I decided to write down my story so that one day, when I'm discovered, they will know who I was and wh... read full description below. A commune hidden from the world. A terrible accident. A lifetime of secrets to uncover. 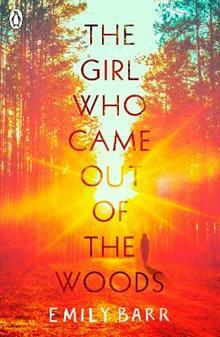 The new YA thriller from Emily Barr. I've been trapped here for days. What if I die here? I decided to write down my story so that one day, when I'm discovered, they will know who I was and why I was here. Arty has always lived in the Clearing, a small settlement in the forests of south India. But their happy life, hidden from the rest of the world, is shattered by a terrible accident. For the first time in her sixteen years, Arty must leave the only place she's ever known, into the outside world she's been taught to fear. Her only goal is to get help from a woman called Tania, who used to live in the forest, and the Uncle she knows is out there, somewhere. As she embarks on the terrifying journey, pursued by an enemy she can't fathom, Arty soon realises that not everyone is to be trusted. She's looking for answers, but what she'll learn from Tania and Uncle Matthew is a shocking truth about her past. Everything is changing too fast for this girl who came out of the woods, and is she running into a trap...?